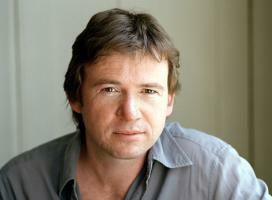 See the gallery for quotes by David Nicholls. You can to use those 8 images of quotes as a desktop wallpapers. My 20s was a sea of worry. I worried about benefit forms, about being thrown out of my flat. I never went on holiday because I thought: 'What if an audition comes up?' I was a nervous wreck. Screenwriting is always about what people say or do, whereas good writing is about a thought process or an abstract image or an internal monologue, none of which works on screen. There's no shortage of orphans in 19th-century literature, but it's hard to find a single happy, communicative, functional parental relationship in the whole of 'Great Expectations,' even among the minor characters. This might sound really foolish, but when I came to Edinburgh in 1988 I had spent nearly all my life living south of Bristol, and I was just amazed that a city like Edinburgh was actually in the British isles. Well, it's so hard for books to take off. You give years of your life to something that probably won't happen, so when it does, it feels a little... unjust. When I was an actor, I worked with lots of men who had a bit of success early on, who were very good looking, who suddenly made a bit of money and who felt no embarrassment - and nor should they have done - about having a good time. When you're reading a book, you're always looking for the natural place to stop. With a movie, you can't really have that sense of it coming momentarily to a halt; there's pressure to keep the momentum up. As a novelist, I'm incredibly lucky to make a living, but that doesn't mean that I don't lie awake at four o'clock in the morning, worrying. At university, I used to write silly little sketches and monologues, but never fiction. Fear and anxiety are great motivators for me. I identified with Pip from 'Great Expectations,' especially when I was younger; I had the same kind of gaucheness and uncertainty. I really was a terrible actor. I did it for years in my twenties because it was like being at university again. I work three days at home, and two days in the British Library or the London Library, just to get out of the house and hide from the children. I would never complain about 'One Day' taking off, but it made me painfully self-conscious for a long time. I've been a compulsive reader for as long as I can remember. I've only ever been recognised in the street once. In Sweden, strangely. If there's anything I'm keen to get better at in my writing, then it's the writing of prose as opposed to the writing of dialogue. Read a book at the right age and it will stay with you for life. A screenplay is really an instruction manual, and it can be interpreted in any number of ways. The casting, the choice of location, the costumes and make-up, the actors' reading of a line or emphasis of a word, the choice of lens and the pace of the cutting - these are all part of the translation. An adaptation leads the cinema-goer to the original to find out what they're missing and if they already know the book, it can still illuminate a theme, a character, an idea. David Holdaway was my stage name. I was an actor for about eight years in the '90s. 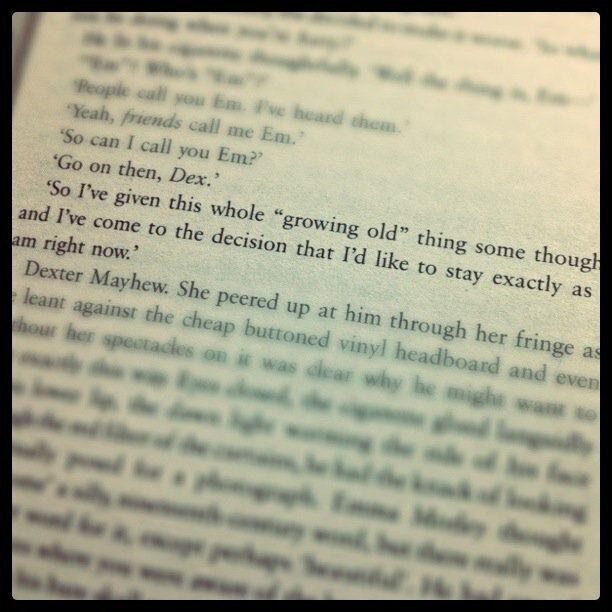 I had to change my name because there was another David Nicholls, and I thought if I changed it to my mother's name, she'd be touched. I know that for every reader who has lost the habit or can't find the time, there are people who've never enjoyed reading and question the value of literature, either as entertainment or education, or believe that a love of books, and of fiction in particular, is sentimental or frivolous. I love Billy Wilder, and I love the way that his films can be very touching and very moving and very romantic, and at the same time there's always a little cynical undertone, there's always something that undercuts things. I read a lot of F. Scott Fitzgerald. I love 'Tender is the Night,' and its atmosphere of doomed romance. He was one of the greatest prose stylists, with a wonderfully clear but lyrical quality. 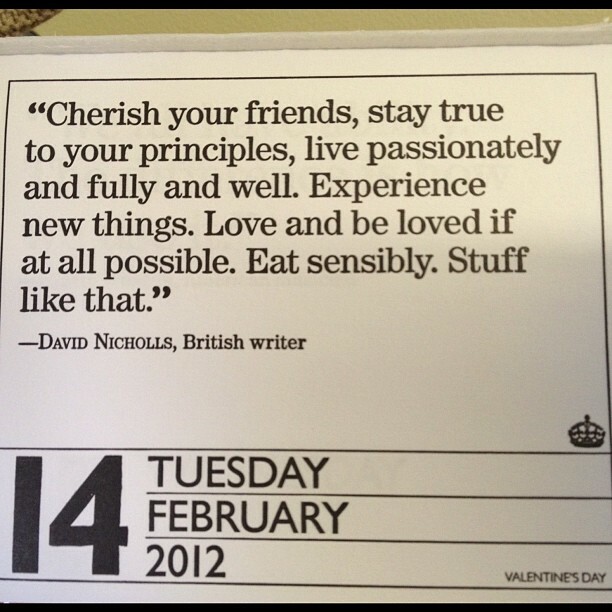 Much more quotes by David Nicholls below the page. I still find it absurdly difficult to concentrate on a novel if there's a phone or computer to hand; I have taken to locking them outside the room like noisy pets. I think I became a writer because I used to write letters to my friends, and I used to love writing them. I loved the idea that you can put marks on a page and send it off, and two days later, someone laughs somewhere else in the world. I think probably I'm quite sentimental; I like big emotional stories, I like being moved by things, but I think I'm very embarrassed by sentiment. I'm very embarrassed by corniness. I usually write on a computer - unless I get stuck, at which point I switch to write by hand. I think that's common among writers if they get cornered on something. I worry sometimes that I'm a bit moralistic; always writing about men who are learning to grow up, not be so self-absorbed, selfish or badly behaved. I wonder if that's dull and liberal and wimpy? I should probably write something that celebrates wickedness. Most of the books and films I love walk a knife edge between romance and cynicism, and I wanted 'One Day' to stay on that line. I wanted it to be moving, but without being manipulative.